The Volkswagen Beetle was built, for all intents and purposes, to make autobahn thrills universal. Even if your wallet was forming cobwebs and savings account lackluster at best, you likely could muster enough couch change for a down payment on the quirky love bug. Though the price of cars is continually on the rise, the Volkswagen Beetle remains economical–and even more so with Volkswagen’s current 2016 Volkswagen Beetle Hatchback incentives. Here at Reeves VW, you can get familiar with impressive new 2015 and 2016 Volkswagen models at little cost. The Volkswagen Beetle, as well as many of its lineup brethren, can be yours with a low APR loan or lessened lease payments. 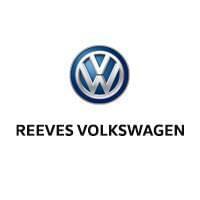 The savings never stop at Reeves VW. Explore all our current new Volkswagen incentives before joining us here in Tampa, where we serve the greater Clearwater, St Petersburg, Wesley Chapel and Greater Northdale region today.